My beloved Gene went to be with his Lord Jesus Christ Sat., Nov. 16, 2013. Gene was born May 26, 1924, in Pioneerville, Idaho, the second son of five children, to William Benjamin Shepard and Catherine P. (Frint) Shepard. He was born at the family home, with his grandmother Frint attending. His boyhood home was Emmett, Idaho, where he attended a country school and graduated from Emmett High in 1941. He served in the U.S. Navy from 1941–1945 and was a WWII veteran. He attended school in Seattle, specializing in telegraphy, working for Union Pacific Railroad. Gene met his beloved Shirley (Owen) in Emmett. They dated for two years and married in August 1952. They had three children. He was a man of few words and truly knew and loved his Lord Jesus Christ. 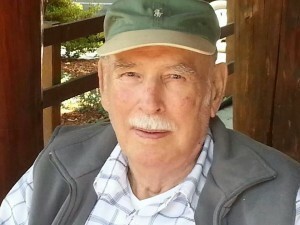 Gene worked for Seattle City Light from 1953 until retirement in 1988. Gene was a strong supporter of the American Missionary Fellowship in Newhalem. He was an EMT for the Newhalem Fire Department. He was very supportive in A Christian Ministry in the National Parks. Gene was instrumental in initiating programs to benefit those people with whom he worked and lived. He is preceded in death by his parents, brothers Arthur and Donald, and sister Dorthea Newell. Gene is survived by his wife Shirley; son James (Gregory) Shepard and wife Pamela (Hamilton); daughter Sandra Lynn King and husband Robert (Sedro-Woolley); son Brian Scott Shepard and wife Brenda (Marysville, Wash.); grandchildren Erick, Tiffany, Paula, Christine, Nicole, Anthony, and Jacquline; great-grandchildren Katrina, Jonathan, Robert, Kadyn, Amburre, Kylie, RJ, Victoria, Liberty, Emily, and Evelynn; sister Wilma New; and nephews and nieces John, Jordan, Curtis, Norman, Jeannie, Justin, and Alexandra. Gene was an avid fisherman and a serious hunter and hiker who truly appreciated the beauty of the Northwest. He had an incredible sense of humor and was an inspiration to those who were fortunate enough to be a part of his life. Generous with his time and abilities, he always was willing to help a friend or neighbor. Gene was a devoted family man and adored his loving family. We would like Hospice of the Northwest to know how we appreciated their gentle and loving kindnesses to our family. We also would like to thank our wonderful Community Bible Church family for their continued love and support. It is suggested that in lieu of flowers, donations be made to either Community Bible Church or Hospice of the Northwest. A memorial service has been planned for Sat., Jan. 18, 2014, at 2 p.m. at Community Bible Church, 45872 Limestone St., Concrete. Gene’s beloved wife of 61 years will truly miss him. Love is forever.